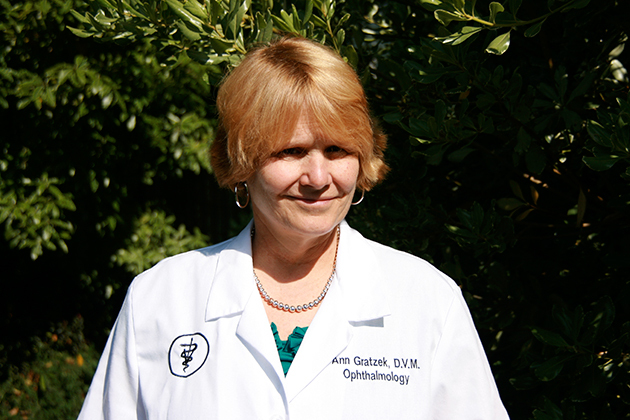 Diplomate, American College of Veterinary Ophthalmologists, Owner of Ophthalmology for Animals, Inc.
Dr. Ann Gratzek received her BS in Microbiology with General Honors from the University of Georgia and after serving in Liberia as a teacher in the Peace Corps, she returned to Georgia for veterinary school. 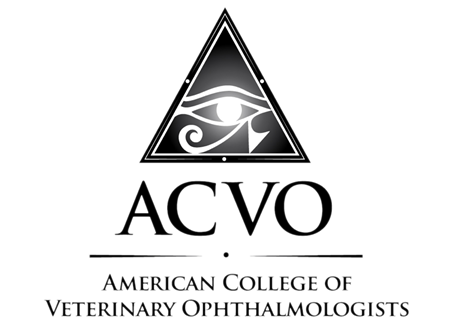 After two years in general practice in Minneapolis, she completed her internship in small animal medicine and surgery at Kansas State University followed by an ophthalmology residency at the University of Georgia. She started practicing in 1994 in the Monterey Bay area. Dr. Gratzek typically sees dogs, cats, horses, birds and rabbits but has worked with all species including amphibians, reptiles, marine, zoo animals and wildlife. She has corroborated with the Monterey Bay Aquarium, Long Marine Lab,local wildlife rescue and rehabilitation groups. In addition, she consults regularly with industry in the Bay Area. On the rare occasion that she isn’t working she enjoys skiing, hiking, snowshoeing, and spending time with her family and African Grey named Smitty.